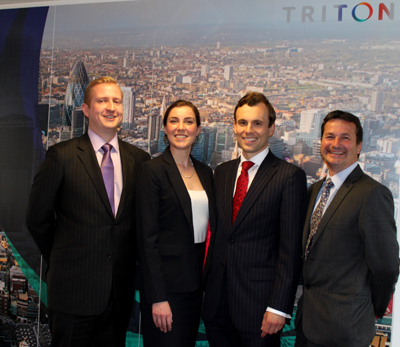 Triton Global, multi-disciplinary professional business providing services to the insurance sector, is pleased to announce four new promotions, including three new partners, all effective 1st August 2014. Joanne Staphnill, Grant Walker, Steve Oates, will all be partners of Robin Simon (soon to be known as Triton Legal). Kevin Salt will be a Regional Director of Triton Adjusting (formerly known as Walsh PI). Triton promotions LtoR Steve Oates, Joanne Staphnill, Grant Walker, Kevin Salt. Joanne, based in the London office, specialises in professional negligence defence work, particularly in respect of solicitors, insurance brokers and medical professionals. Grant, based in the Leeds office, specialises in defending negligence claims against professionals, and the majority of his work is for solicitors, architects and engineers. Steve, based in the Birmingham office, specialises in defending negligence claims against professionals, with a particular focus on claims against solicitors, construction professionals and insurance intermediaries. He also advises construction professionals on contractual matters. Kevin, based in the Leeds office, is a Chartered Civil Engineer and Loss Adjuster with consulting experience. He is a professional indemnity specialist with a particular interest in the building and civil engineering sectors.